Businesses need strong, realistic budgets and periodic evaluation ensures that a company’s budget continues to meet its needs. The result of an honest, all-inclusive budget evaluation typically involves cutting redundant programs, projects, or employees; merging departments that serve similar purposes; and cutting unnecessary costs. Budget evaluation works the same on any scale, from sole proprietorships to the federal government. A look at how federal government budget cuts take place mirrors the budgetary processes of private companies. When a new presidential administration takes office, it is tasked with reviewing and evaluating the budget, especially when a deficit is present. Just as new managers take a look at their department’s budget to see if they can find ways of trimming costs. Some programs and government spending may need to be reduced or eliminated for a variety of reasons, ranging from technological advancements to adequate private sector coverage resulting in no further need for government funding. The same can be said of corporations replacing old technology with newer, more efficient solutions or farming work out to 3rd party vendors. The necessary skills for effective budget evaluation can be learned. Students enrolled in an online MBA degree program will develop a firm grasp on business budget planning and evaluation so they can become effective business leaders after graduation. An online MBA can help students understand when to eliminate, consolidate, coordinate, or restructure departments to become successful candidates for management positions. When it comes time to evaluate a company’s annual budget, business managers need to ask a lot of difficult questions. And the answers to these questions, regardless of how uncomfortable they might be, will help to maximize efficiency and create a lean and successful company. Managers don’t have to wait until next year to implement any necessary changes. Asking these questions at regular intervals throughout the fiscal year helps managers adjust as needed, which helps the business stay within budget and move in the right direction all year. Waiting until the end of the year to evaluate a business budget could result in a disaster that could have been prevented, such as a department overspending its budget for a full year with nothing to show for it. Did the business understand the market? Did the business have too little information? What does the business know now that will change the budget in the future? Can the business still plan for profitable performance based on this business strategy? In other words, when a business fails to follow its budget, wise managers use the mishap as a learning experience. They should look at what went wrong, strive to understand the associated problems, and attempt to salvage what they can going into the next period. Budget evaluation is less about finding a single, revolutionary idea that will save the company millions of dollars and drive a business to Fortune 500 status, and more about identifying incremental, achievable actions. “Incremental ideas with minimal impact on other departments can allow you to trim up to 10 percent of costs,” businessmen Kevin, Shawn T., and Edward J. Coyne explained in “When You’ve Got to Cut Costs—Now” in Harvard Business Review. Consolidate incidentals, such as combining activities and training days into one event to save money on facilities and resources. Take overdue personnel actions, such as dismissing underperformers. Reduce the level of supervision on activities that remain fairly constant and routine from year to year. Eliminate as many liaisons and coordinators as possible to provide departments and groups an opportunity to communicate without the use of intermediaries. Reduce excessive administrative tasks, such as preparing long reports filled with comprehensive data, most of which holds very little consequence to decision makers. Look for ways to automate processes that once required manual interaction. Coordinate parallel activities that can include departments conducting similar tasks and utilizing the same supplies (which could be purchased in bulk, rather than separately by 2 individual departments). Consider recent technological advancements to determine if departments such as payroll, benefits management, recruiting, and media planning can be outsourced. Consolidate analysis activities to a single department wherever possible to eliminate duplicate analytical efforts by multiple departments. Get rid of low-value forums, such as weekly administrative meetings within departments that waste time and yield few positive results. Eliminate failed programs or product lines. Technology can aid managers in determining which of these steps they will choose. In today’s business environment, data analytics provide detailed information a manager can use to better evaluate a company’s overall performance. Technology is constantly striving to improve the decision-making process so that budgetary decisions can be made with a higher degree of accuracy. Leaders who understand budget evaluation considerations and tools will find that they are invaluable when budgetary issues arise. 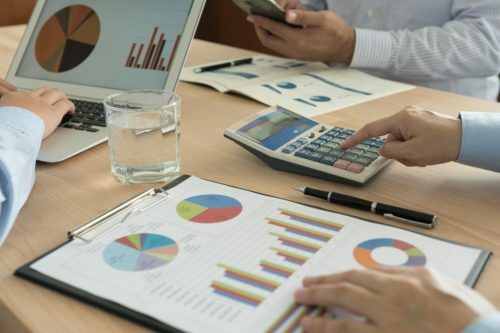 Business managers and online MBA degree students who fully understand how to analyze a budget’s strengths and weaknesses will prove invaluable to their companies, especially when the time comes to review the budget for the next year. Advanced education can give potential business leaders the knowledge they need to tackle the budgetary process in a productive way. Washington State University’s Carson College of Business offers one of the top-ranked MBA programs in the nation. WSU delivers online MBA courses designed to equip students with the tactics, knowledge, skills, and strategies utilized by today’s most high-profile business leaders.